The Segway® i2 SE Patroller model provides the versatility you need to get the job done. Use it indoors and out for up to 24 mi/38 km on a single charge. It's adaptable to many patrolling applications for law enforcement, private security, and emergency response. Choose the i2 for ultimate portability and to maximize your fleet storage space. Need to travel over a variety of terrain? Consider the x2 SE model. It's built just as tough and comes with knobby low-press tires that grip the grit. The Segway® Patroller x2 SE model is built tough for more rugged terrain. 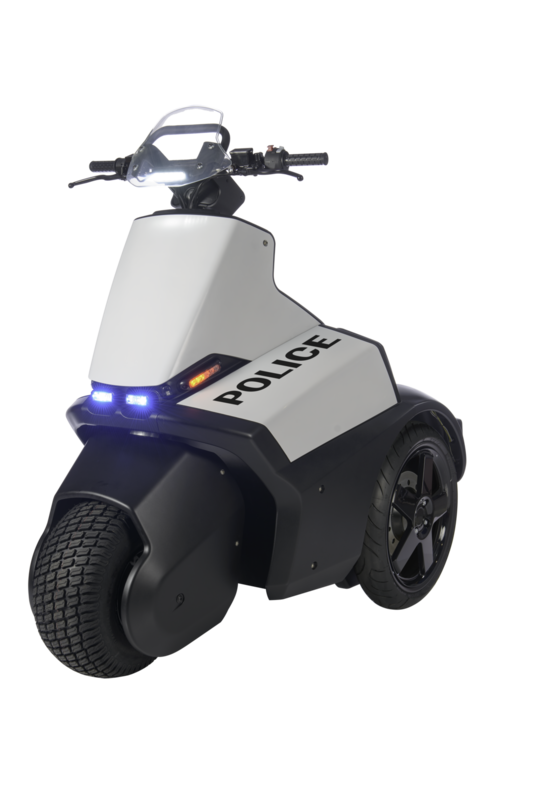 It's well-suited for park patrols and traveling over downtown sidewalks that are in rough shape. x2 riders often tell us how much they enjoy the lower pressure tires, which help make a shift go by that much easier. The fender frames have a built-in lift point, which makes for an easy two-man lift point for loading in-and-out of transport vehicles. If smoother terrain is more your territory and maximizing range is important, consider the i2 for your patrol. It's got all the performance you enjoy in the x2, just in a smaller, more versatile package. Available in white or Yellow reflectivity.